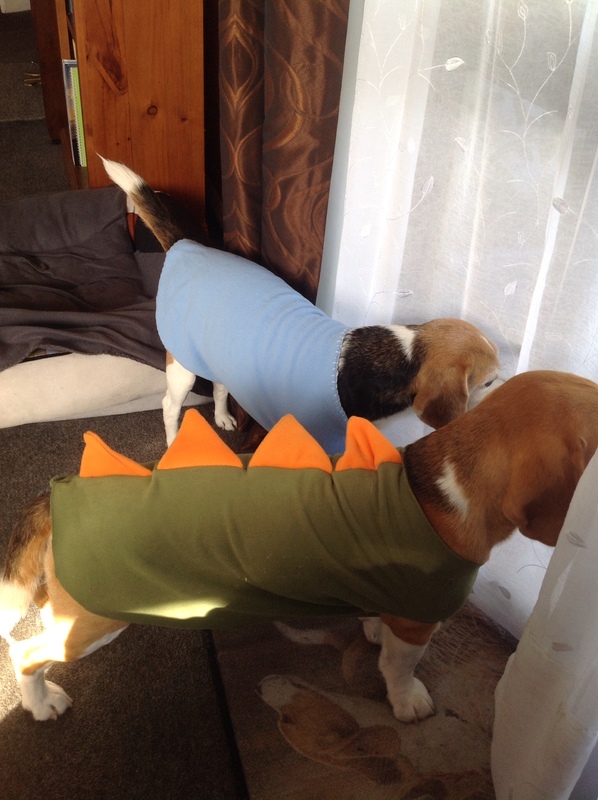 I’ve been making these for my cold beagle… And the dinosaur ones for my attention seeking beagle. Tempted to try selling them on Etsy….. What do you think? They are made with a high quality fleece, and the dogs haven’t destroyed them…. Pretty good endorsement from a beagle who wears them all day. Absolutely love the dinosaur one!! Love it! Definitely put in on etsy.